Well it was all started with an announcement from Samsung that its newest smartphone will come with a huge exclusive deal with Epic Games, the developers behind the mega-popular Fortnite Battle Royale, leading to an extended exclusive period for the upcoming phablet. Well, Samsung did work out a deal with Epic, but it looks like that exclusive window is pretty short. 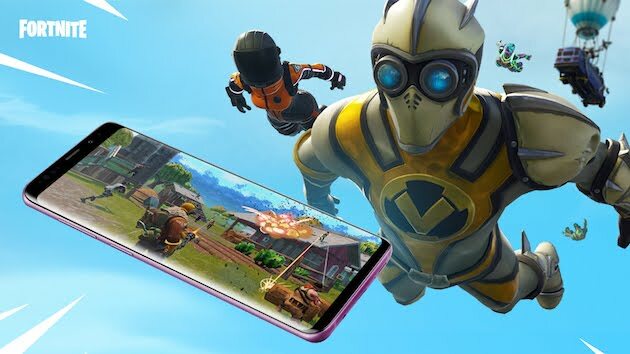 Epic announced that the beta for Fortnite for Android will launch this week, but that owners of certain Samsung-branded devices will get access before anyone else. That access begins today, in fact. If you have one of those Galaxy devices, you can download this Game from Samsung Game Launcher app. Also, if you pre-order the Galaxy Note 9 between August 10 and August 23, 2018, you can choose either a free pair of AKG noise-cancelling headphones or 15,000 V-Bucks (the in-game currency in Fortnite). Or you can get both for just $99, if you’d like. So what happens this week for non-Galaxy device owners? Epic says it will be rolling out support for devices and users over the course of this week and beyond. Players will be granted access in waves. If you want to sign up, click this link to be put on the waiting list.